The Tani rash guard takes the traditional raglan and improves the fit. 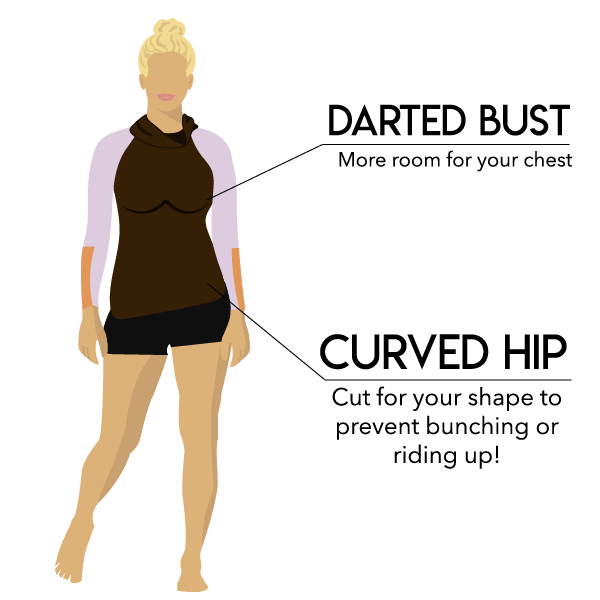 By adding a darted bust and a curved hip, we made room for the shape of your body! That means no bunching or riding up to your waist while you surf. 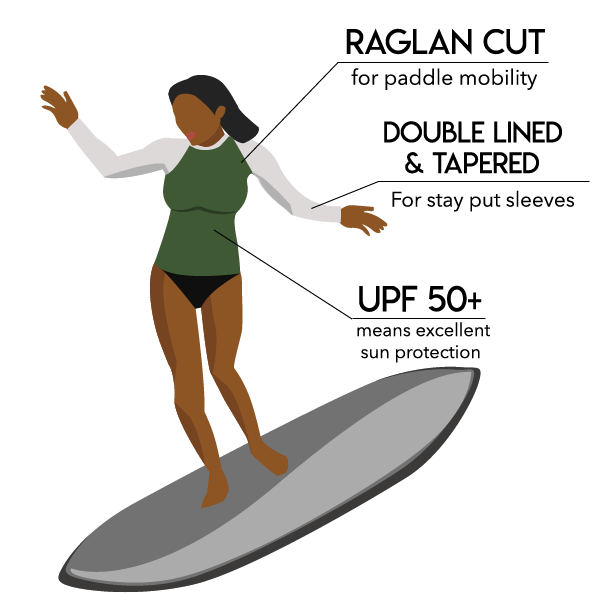 Surf lady designed and tested, the Tani rash guard features a paddle sleeve. It's raglan sleeve allows for paddle mobility and is double lined and tapered from the elbow to the wrist. That means no bunching while you paddle paddle paddle! 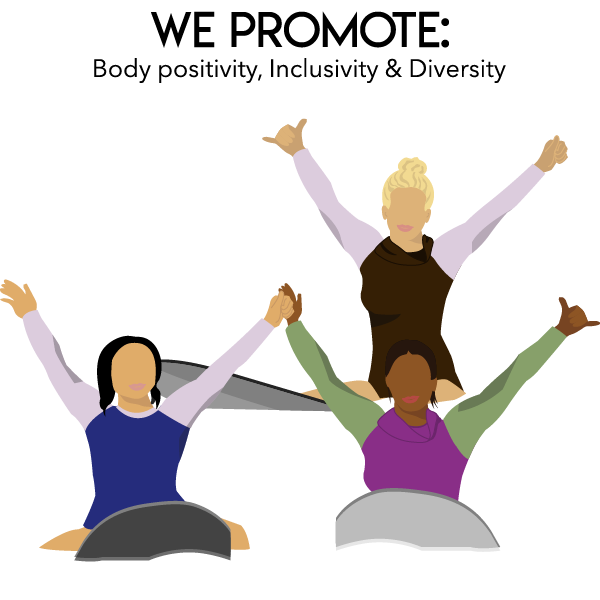 Join our newsletter and get 15% off your first order!